A massive project to expand O’Hare International Airport was introduced with great fanfare last week, only to then hit some turbulence. 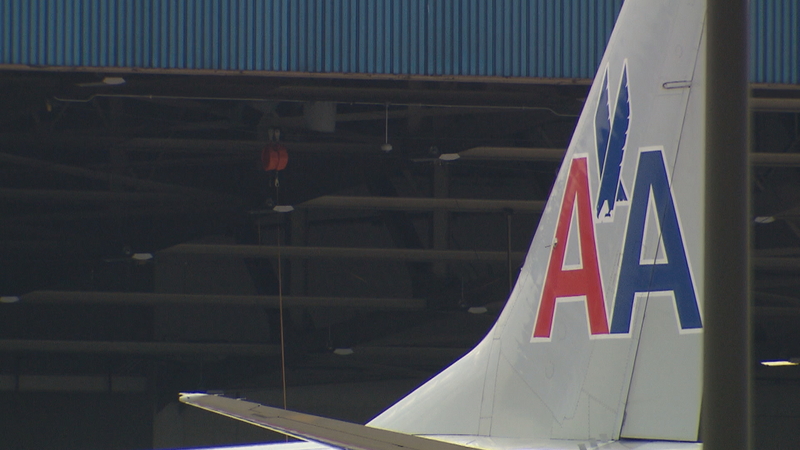 American Airlines says it was left out of the negotiations and that the city is playing favorites with its top rival, United. Could this dispute ground the entire deal? American Airlines says it is exploring options, including a counter deal the company has put on the table. Both American, United and city officials are meeting with aldermen Tuesday and throughout the week. We’ve been told the airlines are heavily lobbied up because the plan is currently before City Council as it looks to hold hearings, debate and ultimately, a vote. The proposal is estimated to cost $8.5 billion over several years. It would add 25 percent more gate capacity to the airport, to modernize it and make it look much sleeker, and to move the international terminal to a brand new so-called “Global Hub” in Terminal 2. The current international terminal would then become the home of Delta and a few other airlines. City officials tout the Global Hub concept as unique among world airports, where United and American would be connected to their global affiliate airlines. The terminal would add two satellite terminals to the west of the main gates, connected by an underground tunnel. American is balking at this plan because United already has a handful more gates, and American believes this deal gives United an unfair advantage. In an internal video the company released, an American executive said he wants the city to allow American to be more competitive with United. In May, the current 35-year lease the city had with the airlines will expire. It gave carriers veto power over upgrades and renovations in the terminals. Under the new agreement, the city will have that power. Also, per new Federal Aviation Administration standards, no one airline will be allowed to have exclusive lease access to gates. They will eventually be doled out according to how busy they are. Chicago’s Deputy Mayor Robert Rivkin, who has been a lead negotiator on this deal, says whether American likes it or not, the deal is done. O’Hare is still completing a massive runway expansion and realignment under the $6 billion-plus O’Hare Modernization Program. This would simply add more terminal and gate space and drastically modernize the amenities. Most parties we’ve spoken to agree that O’Hare has fallen behind other cities like New York, Los Angeles, Dallas, Atlanta and Miami on international flights. Of course, city boosters say the whole project could be a game changer for the entire region’s economy as well. The other big question: who gets the jobs and contracts? The chair of City Council’s Latino caucus says that the minimum minority and women contracting quotas won’t do it. This project will be paid for by borrowing against higher gate fees, landing fees and airport concession revenue. March 2: A new poll shows J.B. Pritzker leading not only the Democratic pack of governor hopefuls, but also the embattled incumbent. High-flying plans for a major O’Hare expansion hit turbulence. Feb. 15: Mayor Rahm Emanuel wants everyone to get on board with an ambitious plan for an express train between downtown and O’Hare, but would taxpayers be the ones taken for a ride? Nov. 29: How would you like to whisk from the Loop to O’Hare International Airport in under 20 minutes? Mayor Rahm Emanuel says the idea is one giant step closer to reality.